Being productive is every person’s most cherished wish-come-true. One that is reflective of what Archimedes famously said in the third century BC, quoted above. The point remains, how do you know you can be productive? Are there any sure-shot productivity tips to boost one’s abilities? I was looking for some adrenalin-boosting productivity tips thanks to the Internet, when I came upon this Business Insider story that promised 9 ways of becoming insanely productive. The heading is too luring to ignore, so I glanced through the 9 TED talks that the article referred to. And while doing so I told myself why not be a bit productive and put them together in one place such as in this article, instead of making it tedious to go through a series of BI posts? You need a lot of bad ideas in order to get a few good ones. Elaborating more on that Grant says, when you produce more ideas it means more variety, and this gives you a better chance of stumbling on something truly great. For me Grant is very inspirational, and I love his productivity tip that no matter what, it’s good to produce more ideas even if some of them fail. A celebrated author and CEO of Good Think Inc., Shawn Achor is a long-time researcher on how the human potential, success, and happiness intersect. 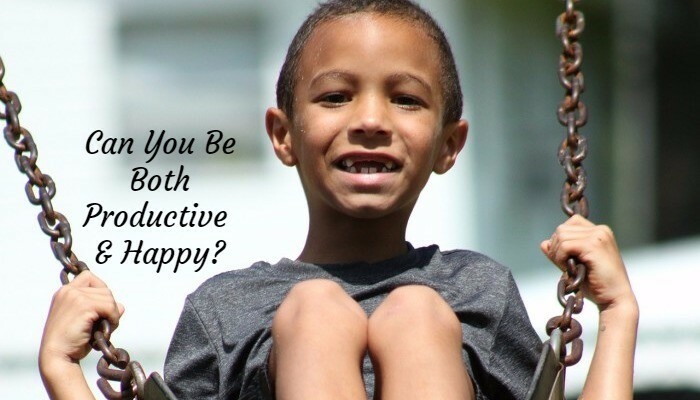 The common belief that we should work to be happy is misguided. Instead happiness inspires productivity. Happiness is a remarkable stress reliever as there is less pressure to ‘prove’ your worth. Happy and content people are able to do more even in limited possibilities. A business consultant, Nilofer recommends forgoing coffee meetings or fluorescent-lit conference room meetings in favor of walking and talking 20 to 30 miles a week. You’ll be surprised at how fresh air drives fresh thinking. She further says, when you do that way, you’ll bring into your life an entirely new set of ideas. As a senior partner at the Boston Consulting Group, Morieux believes that the only way to solve brand-new problems every day is to cooperate with others. To cooperate is not a super effort, it is how you allocate your effort. He thinks it is important to make a super difference in the performance of others, with whom we are compared. A good night’s sleep has the power to increase productivity, happiness, and smarter decision-making. I urge you to shut your eyes and discover the great ideas that lie inside us, to shut your engines and discover the power of sleep, she says. If the 5 above are rather holistic in nature, the following 4 productivity hacks culled from here will certainly appeal to you for being more realistic. Psychologists have found that attempting to do several tasks at once can result in lost time and productivity. Instead, make a habit of committing to a single task before moving on to your next project. II) Give up on the illusion of perfection. It’s common for entrepreneurs to get hung up on attempting to perfect a task when the reality is nothing is ever perfect. It’s better to move on, and if need be, come back and adjust or improve it later. Using work time to exercise may actually help improve productivity. So, build in set times during the week for taking a walk or going to the gym. Elite performers (athletes, chess players, musicians, etc.) who work in intervals of no more than 90 minutes are more productive than those who work 90 minutes-plus. They also found that top performing subjects tend to work no more than 4.5 hours per day. Pushing the bar bit by bit beyond what you’re achieving at any given time is an interesting objective to pursue for most of us. The only confusion is about the ideal productivity formula that actually works. Leave your comments below, and tell us about your favorite productivity tips and hacks.